"How can you receive the greatest happiness and blessings from this earth experience? 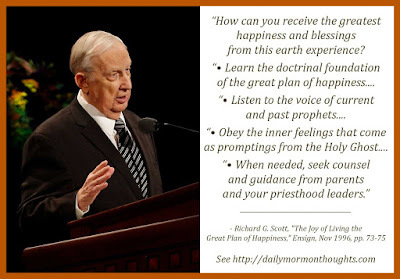 "• Learn the doctrinal foundation of the great plan of happiness by studying the scriptures, pondering their content, and praying to understand them. Carefully study and use the proclamation of the First Presidency and the Twelve on the family (see "Proclamation," Ensign, Nov. 1995, 102). It was inspired of the Lord. "• Listen to the voice of current and past prophets. Their declarations are inspired. You may verify that counsel in your own mind and heart by praying about it as it applies to your special circumstances. Ask the Lord to confirm your choices and accept accountability for them. "• Obey the inner feelings that come as promptings from the Holy Ghost. Those feelings are engendered by your righteous thoughts and acts and your determination to seek the will of the Lord and to live it. 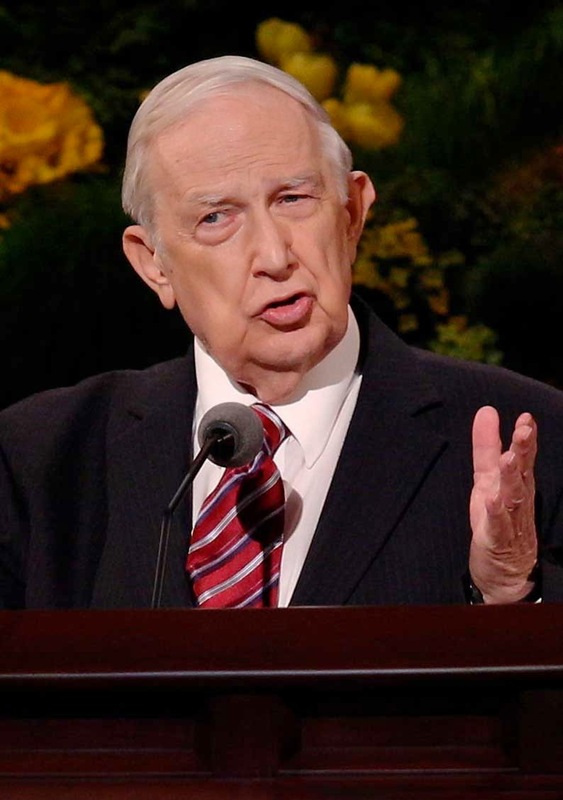 "• When needed, seek counsel and guidance from parents and your priesthood leaders." Those are relatively simple and familiar points. We should learn from the scriptures, heed prophetic counsel, learn to hear and follow the promptings of the Holy Ghost, and seek counsel when appropriate from those we trust to help us find inspiration.Yet by falling short in these areas, we deny ourselves blessings and happiness. It's always good to have reminders of the things that matter most in life, so that we can adjust our course and priorities to remain firmly on course!